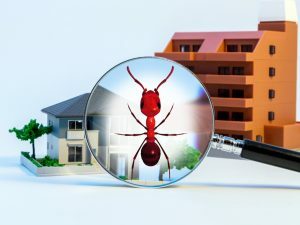 Termite and Inspection Services | Pest Control Omaha - Exterminator | Omaha Pest Control, Inc.
Termites have lived on earth for more than 250 million years. While termites can be helpful in breaking down rotting wood in the environment, these wood-destroying insects also can cause extensive damage to your home or business. Sometimes called “silent destroyers,” termites may leave few signs of activity as they steadily consume wood and sheetrock paper in the walls, ceilings and floors of homes. Experts estimate that termites damage more than 600,000 homes in the United States annually. In fact, termites cause more damage to U.S. homes than tornadoes, hurricanes, wind and hail storms combined. 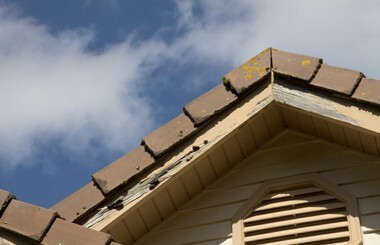 Unlike weather-related damage, termite damage is not covered by homeowners insurance. Each year, U.S. residents spend an estimated $5 billion to control termites and repair termite damage. Omaha Pest Control technicians have been controlling these pests for over 25 years in the Midwest. Our experience in the pest control industry, and with the termite extermination, can immediately go to work treating termites in and around your home and building, giving you peace of mind. Our termite inspectors are state certified and specially trained in termite identification and control. If a problem exists, Omaha Pest Control offers a professional, high quality and guaranteed termite treatment. We also provide professional Wood Destroying Insect Reports, if you are buying or refinancing a home it is a required inspection. Omaha Pest Control specialists will help to eliminate the problems that termites and wood-destroying insects can cause. Call Omaha Pest Control at (402) 250-0425 for a free inspection by one of our licensed, certified, and, insured exterminators.